Tara’s mother and grandfather disappear in the middle of the night, and soon, her father remarries, leaving Tara and her little brother, Suraj, pitted against an evil stepmother. In true fantasy fashion, the stepmother pampers her own child and neglects Tara and Suraj. It’s almost unbearable for the children, especially since their father is a mere shell of his past self, unable to spin the tales he used to tell. When a strange newcomer, Zarku, tries to usurp Tara’s missing grandfather’s place as the village healer, Tara hatches a plan to scour the dangerous forest for her missing relatives. However, the night is dark and full of vetalas…and before things are done, Tara forges an alliance with Lord Yama, the god of death. 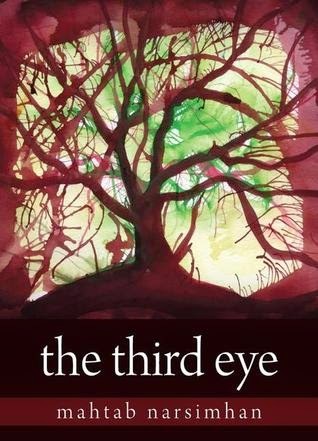 The Third Eye won the 2009 Silver Birch Award from the Ontario Library Association for books aimed at young readers. It’s not hard to see why: Third Eye is an engrossing, fast-paced fantasy adventure that incorporates Indian culture and Hindu stories. I loved that Tara’s quest is not only to save her family (and her relationship with her younger brother is, frankly, cute), but to save the men of her village, who are Zarku’s biggest targets. How often does a little girl end up in that position? I also enjoyed how stories and storytelling were embedded within the plot, such as the inclusion of Tara’s father’s stories, which gave me a pleasant sense that the story was operating on multiple levels. The writing is uneven at times, and I sometimes wished for more attention to introducing details at just the right time. I also wished for a little more subtlety in the struggle between good and evil. Still, when this story is good, it’s especially good. I devoured most of the book on a plane ride, and I’ll be going back for the rest of the series—this book ends on a breathtaking cliffhanger. 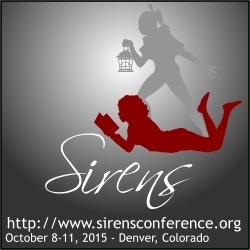 This review first ran in the June 2014 Sirens newsletter.